This is a trine or 1 – 9 relation, who means it, will be filled with joy and greatly favorable. They will be true soul mate. 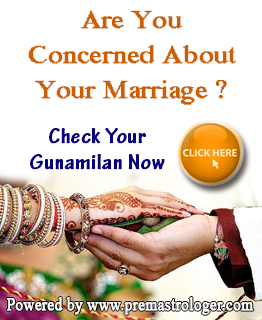 This relation will have better understanding and a nuptial happiness, so you can comfortably move ahead. This tie-up is 8 – 6 or 1 – 8 one. This means it will not be propitious and fine. Taurus will find it difficult to get along with extrovert Sagittarius as he is domineering. Life can be gloomy and unhappy. This relation will always have disappointment and may not continue for long. This is a conflicting or 1 – 7 relationship. As far as physical pleasure and satisfaction is concerned, this relation can turn out to be good. Things are not so promising on the emotional front. This can be a temperate alliance and it will be difficult to get along together satisfactorily. This relation is 1 – 6. There is strong doubt whether this relation can move ahead. Both of them cannot be comfortable on any account. This relation can have huge amount of misunderstanding. Sentiments, synchronization and tranquility are poorly damaged. This relation is not recommended, and no should be said straightaway. This is a trine or 1 – 5 relation, which provides tremendous results constantly. There will be cherished moments and it will run peacefully. Both of them will be able to understand each other in a proper manner. Both of you will be should companion for one another. Egoistic and lurid Leo will provide monetary, social and emotional support to Sagittarius. This is a square of 1 – 4 relation. This relation is not made for each other. Virgo is considerably receptive and he will find it difficult to move ahead with unpredictable, tough and insensitive Sagittarius. Calm, accord and smooth life will go away in case you enter in this relation. This relation is 1 – 11. This is considered a good relation but ego clashes will always be there. Life will be ruined as there in gap in understanding. There is no doubt that both of them are lucky for each other. It is a reasonable match even though they can pull on together. This relation is 1 – 2. This relation is an ideal one and one can think of tying the knot. Inconsistent Sagittarius will be able to control impetuous Scorpio. This will provide ultimate social and psychological satisfaction. Scorpio will be able to direct his / her temperament to achieve a cheerful and superior matrimonial life. This relation is 1 – 1. Both of them are under the influence of Jupiter. This relation can certainly go ahead. Both of them will have cheerful and satisfactory bonding between each other. Both of them are compromising, accepting, loving and kind and have the ability to interpret life in a good manner. Both of them can rely on one another. This relation is not likely to be hale and hearty and excellent union. Sagittarius is inconsistent and it will be really difficult for Capricorn to pull out things. Capricorn will always be in a distress situation because of his / her hurtful and ruthless talks. This relation is not made for each other one. Both of them will not be able to find peace, accord and contentment. This relation is not recommended at all. This relation is sextile or 1 – 11 one. There will be wonderful connection between the two. There will be enough gratification in the life of both the people. They will be able to spend time happily together and this will constantly make this relation more dynamic. More happiness will come in their lives as both of them recognize each other and give value. This relation can turn out to be a responsible, trustworthy and an ongoing one. This is a square or 1 – 4 relation. Both of them are ruled by Jupiter. They will be able to pull life together. Both of them are lucky for each other. Things will move on softly even though there is irregularity in conduct from both the sides. This association can turn out to be a long life one. How Lucky are you? 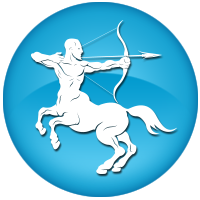 Check out Sagittarius Lucky/Unlucky Horoscope Here..